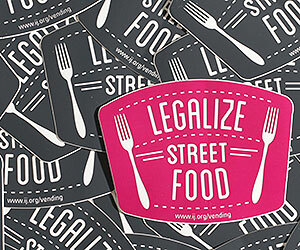 CHICAGO, IL – Following in the footsteps of their food truck brethren, Chicago’s street cart vendors are pushing for legalization of their trade. Currently, vendors may sell only raw, uncut produce or prepackaged frozen desserts, with the cost of licenses ranging from $100 to $275. That means tamale stands, “brew hubs” peddling coffee, and even the selling of a cut fruit salad is illegal. A coalition called Street Vendors for Justice has drafted an ordinance that will bring vendors out of the “shadow economy and into the legitimate economy,” said Beth Kregor, director of the Institute for Justice Clinic on Entrepreneurship, which is championing the cause. The clinic operates under the the umbrella of the University of Chicago’s law school and has been conducting a series of town hall meetings with the Street Vendors Association (more commonly known as AVA, Asociacion de Vendedores Ambulantes) to educate existing and potential street vendors about the ordinance and stir support for the legislation among the general public. Working closely with the city’s Public Health Department, the Institute for Justice Clinic has crafted a proposal that takes the city’s priorities into account: safe, clean food that’s easy to inspect. The ordinance would only allow vendors to sell food that’s been prepared and packaged in a licensed kitchen — no cooking would be permitted at the operator’s home or on the cart — and maintained at a proper temperature.